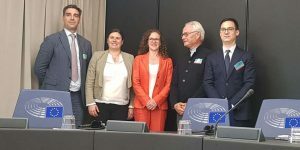 Americans Overseas spoke extensively with the Member of the European Parliament Sophie in ’t Veld about the debate in the EU that was followed by a vote to express the EU dissatisfaction with FATCA. Can the EU do something about FATCA and Citizen Based Taxation? She is rather pessimistic about a change of US legislation. Citizen Based Taxation is an American system and up to the Americans to change. Regarding FATCA the EU Commission also stated that it’s not a EU matter because all the EU countries made their own agreements with the US. 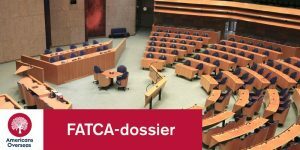 Is FATCA a breach of GDPR (General Data Protection Regulation)? What happened with the EU Parliament vote? The European Parliament voted in a large majority on the topic of FATCA. Sophie in ‘t Veld explains that this was a political vote and not a legislative vote. This means that the European Parliament has made a statement by voting saying they’re not happy with the current state of affairs. However, no measures are being implemented. Historically, she explains, EU countries tend to be extremely submissive to the US and that needs to change. “I see that national governments tend to be a little bit timid and reluctant to raise difficult issues with the American authorities, which is strange because, you know, there are only two countries in the world that have a citizen-based taxation system, and that is the United States and Eritrea. And when Eritrea was doing the same to its citizens here in Europe then Europe was very quick to respond and tell Eritrea off. So it is also a matter of attitude, and I think that Europe should be a lot more assertive”. The agreements between the countries and the US also illustrate the submissive relationship. According to prevailing legal standards in the bilateral tax agreements, they contain a clause that always overrules any law in any EU country if it’s in conflict with a US law. This means US laws always supersedes the law of an EU country. In ‘t Veld has high hopes on affected people taking action: “What is very useful if all those people who are affected, and I think we are probably talking about hundreds of thousands across the European Union, get organised, and to unite and to speak with a single voice, because I think that that makes the movement much more powerful.” The starting point is for individuals to contact their national politicians. The national governments can then in turn instruct their EU representatives to raise the subject politically and work on legislation. So far only The Netherlands and France have been putting the matter on the agenda actively with their governments, so MEP Sophie in ‘t Veld tells us. Should US persons wait with filing? “Chances of the EU convincing the Americans to change their tax system are very very slim” Sophie in ‘t Veld says. Furthermore, EU laws can’t protect citizens from US tax laws. In ‘t Veld advises people to seek proper advice and she reiterates the need for also informing national governments. What can individuals do if the bank closes their account? The possibility to have a bank account is an EU right. In ‘t Veld explains that one should demand that their bank complies with that law. However, no EU provisions have been made for access to pensions, investments, mortgage accounts and other financial products, so the banks can still unfortunately close those off to American citizens. What about the Americans in the United States? “To be frank, I think the Americans don’t care. This is not their problem” In ‘t Veld says. She also points out that most American citizens don’t even know about all these laws and don’t care. It is not an election topic for any politician, so therefore it is not high on the agenda, she concludes. There has never been more media attention as now for FATCA and CBT. 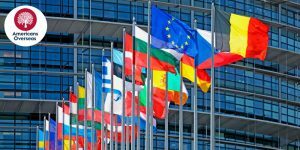 The European Parliament has spoken out and several EU member states are determined to continually inform their US counterparts on these problems. Also, recently influential American lobbyists and politicians have spoken out against the damaging effects of FATCA. Experts agree it’s a long way to go but the more attention the better. As Sophie in ‘t Veld reiterates it’s now more important than ever to make your voice heard to your own government preferably as one collective voice. Americans Overseas has created awareness among local, national and EU government officials as well as banks and other financial institutions by constant lobbying and also reaching out to the press. Currently with the help of several Members of the European Parliament Americans Overseas wants to create awareness for the effects of Citizen Based Taxation in Germany. Americans Overseas feels that if Germany also makes its voice heard in the EU that might be another step in the right direction. Americans Overseas informs local and European parliaments about the effects and problems European citizens have with these (recently) enforced laws. We started this initiative to help people from all over the world by providing proper information to avoid unnecessary panic, and offering help free of obligation and free of charge. If needed, we have a network of affordable professionals (accountants) who can help you with your tax obligations. 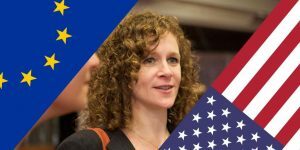 If you have more questions about the consequences of FATCA and CBT on European-American citizens and EU debate you can contact us at Americans Overseas. Americans abroad need to protest at the US embassies. If Americans overseas goes to protest US embassies in large number then it will gain more media attention that the cause can use.